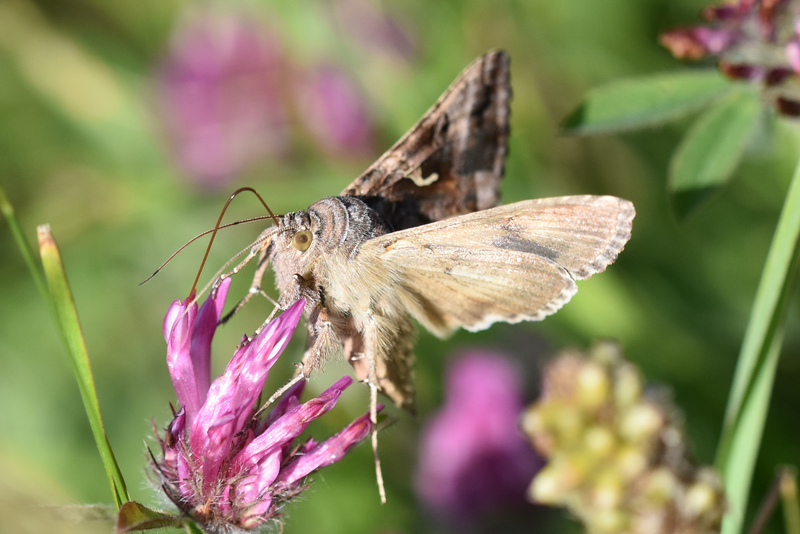 The Silver Y moth, Autographa gamma (Linnaeus) is an immigrant to the UK, coming here to feed, breed and fly away again each year. It rarely stays over winter; it’s just too cold here for its liking! In reality, we (the United Kingdom) are just a stopping off place on a seasonal journey which takes it each year, from North Africa and the Mediterranean to northern Europe, and back again. Moving up and down the globe is concert with the seasons. There have been many reports of Silver Y’s this year (2018), up and down the country, with thousands appearing on the Yorkshire coast where I live, in late June and early July. A sudden invasion! It has been estimated, that in total somewhere between 10–240 million immigrants of this species reach the United Kingdom each spring or early summer! If that weren’t enough, this huge biomass can multiply in numbers by about four-fold once they are here, such that and even bigger number – head south in the autumn. How extraordinary! Where do they come from and how do they get here? 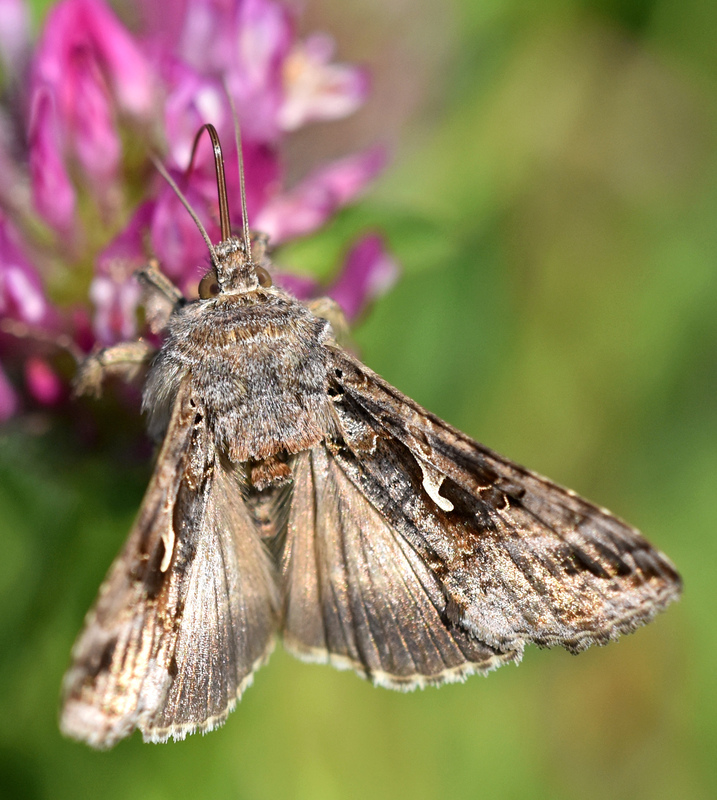 We know a lot about the year to year changes in numbers of the Silver Y moth population arriving in the UK, thanks to dedicated monitoring by means of over 100 light traps, operated throughout the UK: a National Moth Recording Scheme. During those years when there is a large mass invasion – is 2018 one? – there were estimated to be between 225–240 million adult A. gamma immigrating into the whole of the UK (1). If a moth weighs 80–160 mg (Ref. 10) on average (call it 120 mg) then I make it a total of 28.8 tonnes of moths flying in! 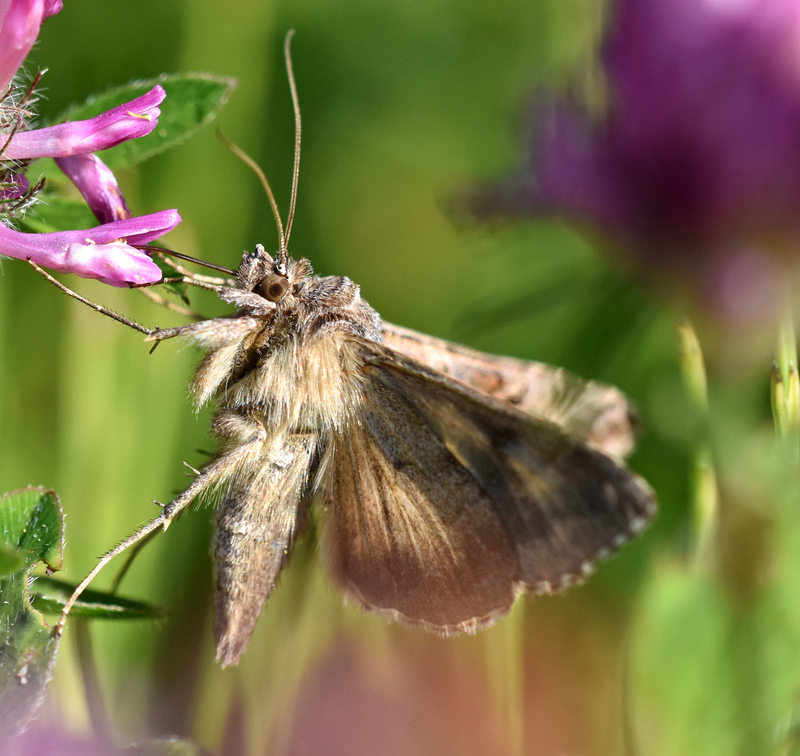 These moths are highly accomplished migrants; they have the skills (behaviours) and attributes (flying abilities) necessary to make these long distance flights. Indeed, their survival and persistence as a species relies on being able to migrate north to breeding grounds in northern Europe (1). How it does so has been the subject of intensive research because this species has the potential to become a very damaging pest of crops, especially during so-called ‘outbreak years’ when the population increases dramatically. 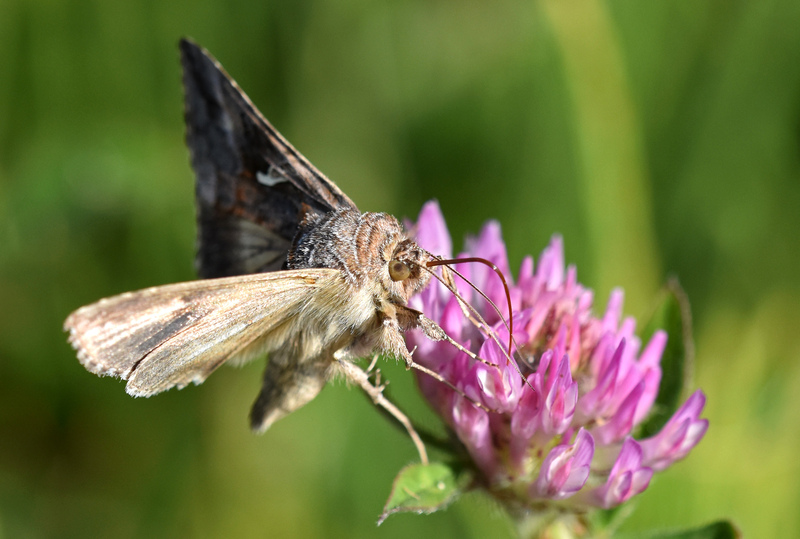 The Silver Y moths are able to travel these long distances by cleverly exploiting the wind; choosing the right time and the right altitude to catch fast-moving air streams that will transport them rapidly to their desired destinations. The individuals which migrate north to countries like ours (England) in the spring have developed on host plants in the Mediterranean region, throughout the previous winter. They are obliged to migrate because the environment in these southerly regions becomes unsuitable for their development during the long, hot summers. During the spring, the northerly movement of the moths is a result of a combination of an individual’s self-propelled movement in a given direction combined with vector of the wind. It seems that mass-migration usually only on nights when there are high-altitude winds moving in the right direction. These windows of opportunity are usually quite short-lived, so they need to be able to get up and go! summer breeding sites, in just three to four nights, travelling for eight hours or so each night (3). Up to 700 km a night in the best conditions. So that moth which has just landed in your garden may have been very far away indeed, the day before! Typically, they travel at ground speeds of between 30–100 km per hour (6), depending on whether they are riding a jet stream! In order to access these high winds, they need to fly high: for example at 400-800 metres above the ground, depending on which height has the best wind speed. They have some sort of internal compass which tells them if they are travelling in the right direction; if not, they bail out and wait for the return of favourable winds (4, 5). They are able to effectively reverse the direction of the compass bearing on the homeward journey in the autumn. They need to migrate south again to avoid the frosts of winter. Clever things! 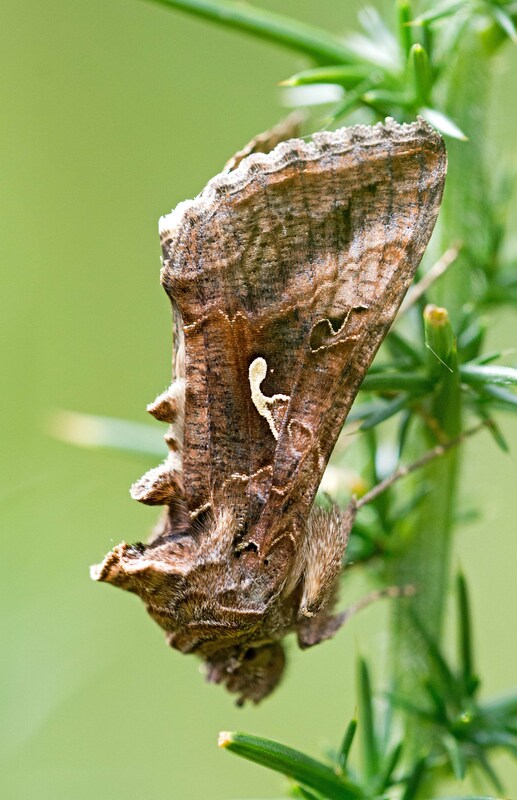 The moths orientate themselves so that they travel in a downwind direction, but they are also able to correct for cross-winds! (3) They actively fly in a direction closer toward their intended (or ‘inherited’) direction than the wind direction. By making such subtle adjustments, they are able to travel much further – up to 40% further – than say a feather, just being blown along by the wind. The compass mechanism that enables this species to navigate so successfully is not understood, but is probably some sort of magnetic compass (5). So it seems that these clever little moths can add a lot more speed and distance to their travels by making careful decisions, e.g. about when to go, at what height to fly at, and by how much to correct their flight path. According to lead researcher Jason Chapman of Rothamsted Research, they ‘can add 4–6 metres per second [that’s 9.0 – 13.4 mph] on top of the push provided by the wind’, by means of their behaviour. The ability to do this must be encoded in their genes (DNA) and we can only imagine that they have been doing this for millions of years, long before Man arrived and starting planting crops! Chapman, J. W., Bell, J. R., Burgin, L. E., Reynolds, D. R., Pettersson, L. B., Hill, J. K., … & Thomas, J. A. (2012). 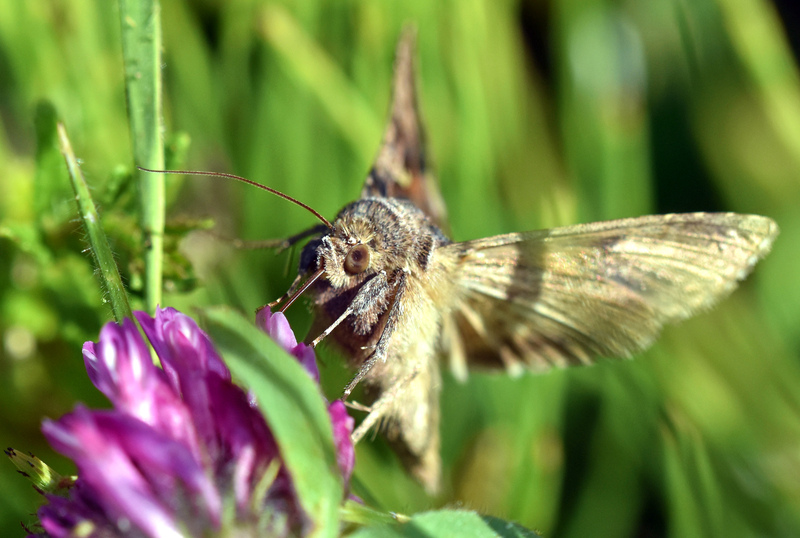 Seasonal migration to high latitudes results in major reproductive benefits in an insect. Proceedings of the National Academy of Sciences, 201207255. Chapman, J. W., Lim, K. S., & Reynolds, D. R. (2013). 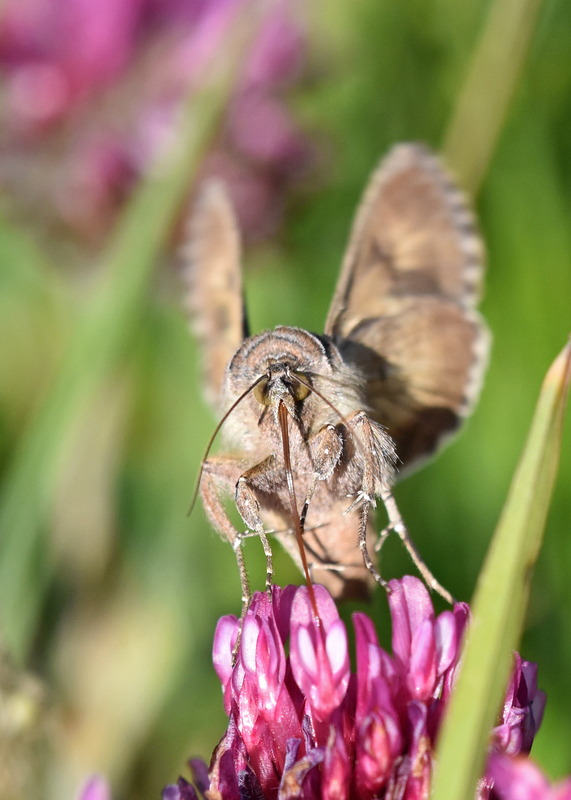 The significance of midsummer movements of Autographa gamma: Implications for a mechanistic understanding of orientation behavior in a migrant moth. Current Zoology, 59(3), 360-370. Chapman, J. W., Nesbit, R. L., Burgin, L. E., Reynolds, D. R., Smith, A. D., Middleton, D. R., & Hill, J. K. (2010). Flight orientation behaviors promote optimal migration trajectories in high-flying insects. Science, 327(5966), 682-685. Chapman, J. W., Reynolds, D. R., Hill, J. K., Sivell, D., Smith, A. D., & Woiwod, I. P. (2008). 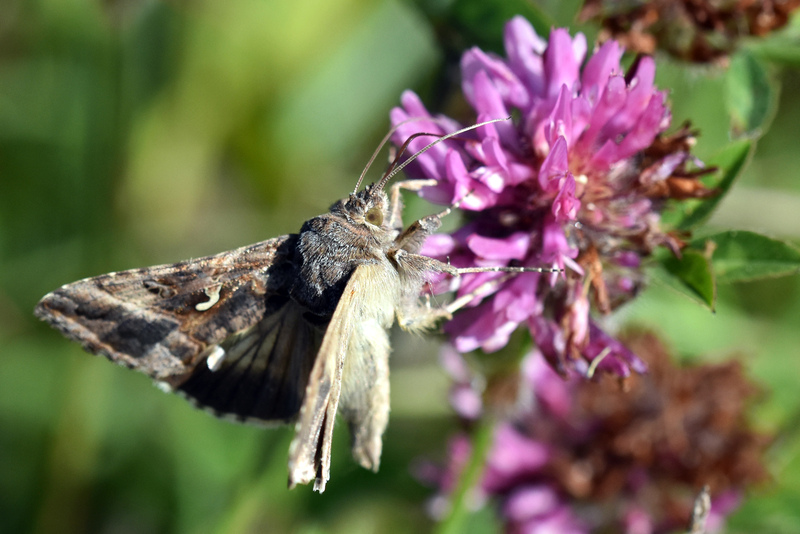 A seasonal switch in compass orientation in a high-flying migrant moth. Current Biology, 18(19), R908-R909. Chapman, J. W., Reynolds, D. R., Mouritsen, H., Hill, J. K., Riley, J. R., Sivell, D., … & Woiwod, I. P. (2008). 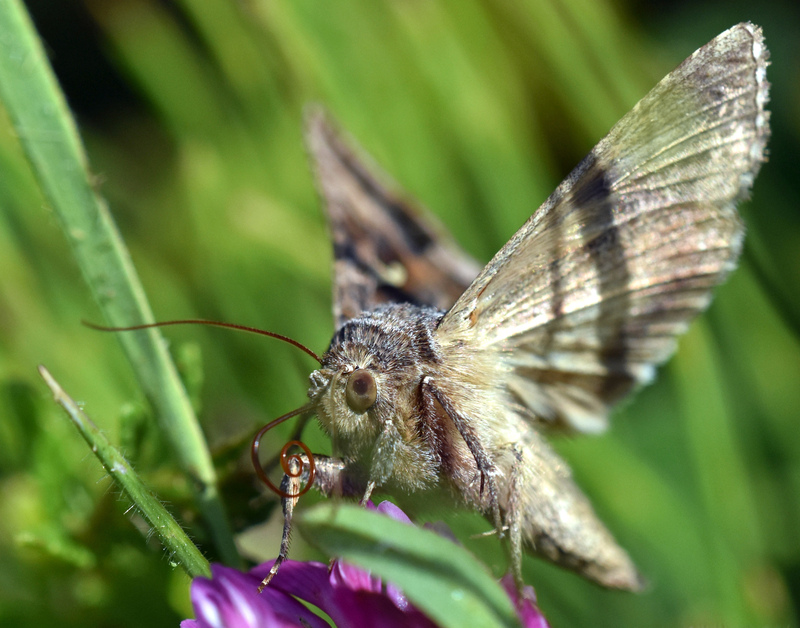 Wind selection and drift compensation optimize migratory pathways in a high-flying moth. Current Biology, 18(7), 514-518. Chapman, J. W., Reynolds, D. R., & Wilson, K. (2015). Long‐range seasonal migration in insects: mechanisms, evolutionary drivers and ecological consequences. Ecology letters, 18(3), 287-302. Ellis, W. N. (2016). 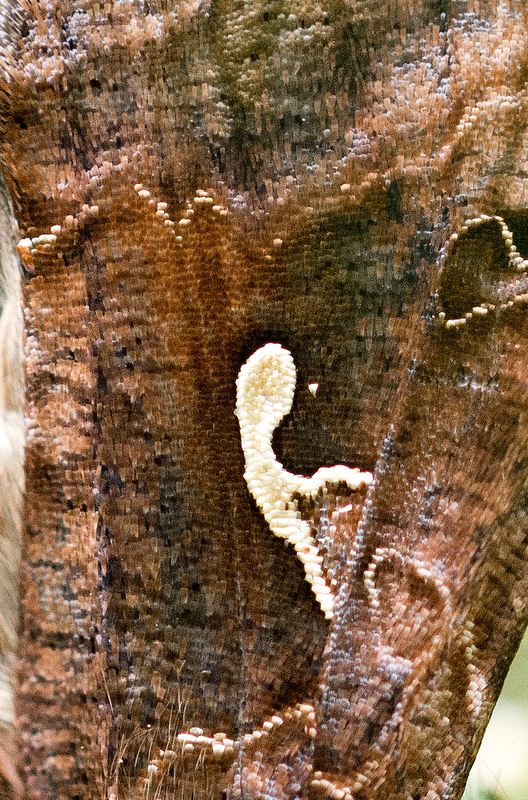 What is going on with the silver Y, Autographa gamma?. entomologische berichten, 76, 21-27. Sparks, T. H., Dennis, R. L., Croxton, P. J., & Cade, M. (2007). 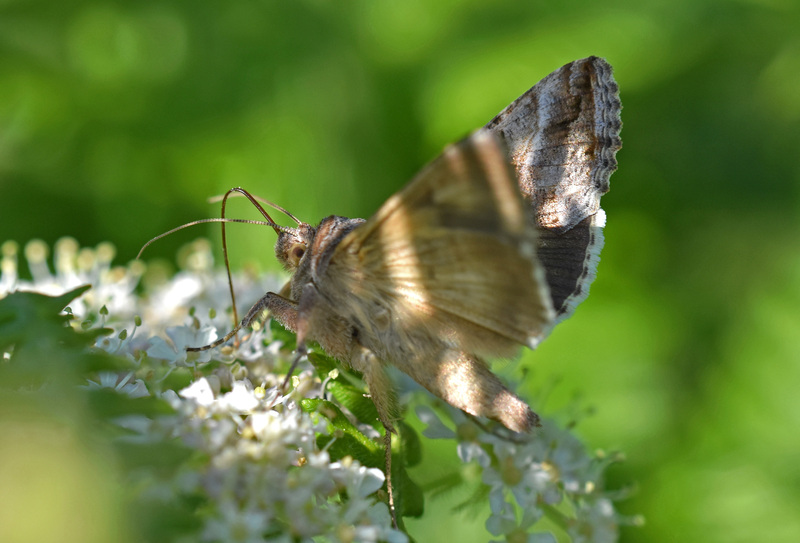 Increased migration of Lepidoptera linked to climate change. European Journal of Entomology, 104(1), 139. Wood, C. R., Reynolds, D.R., Wells, P.M., Barlow, J. F., Woiwod, I.P. and Chapman, J.W. (2009) Flight periodicity and the vertical distribution of high ­altitude moth migration over southern Britain. Bulletin of Entomological Research, 99 (05), 525­-535.